The 1996 Indianapolis 500 winner and oldest entrant in today’s Indianapolis 500, Buddy Lazier, just crashed out of the race. Sadly, his shoestring-budget, family supported run has come to the end this year in a big spin into the wall. 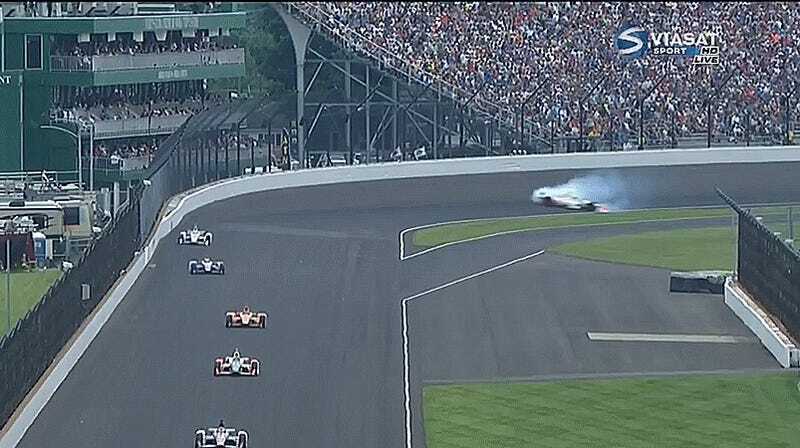 Lazier has been taken to IU Health Methodist Hospital, as he complained of chest pain following the incident. 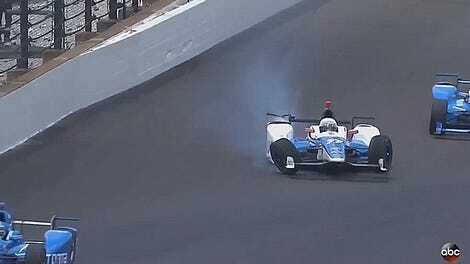 The 49-year-old Lazier lost control of his car mid-turn on lap 122 of 200, hitting the wall in spectacular fashion. He’s by no means a contender for a second Indy 500 win, however, it’s still sort of fun to see a guy old enough to be the dad of some of the non-F1-refugee rookies make yet another Indy 500 run. Lazier’s crash brought out a yellow flag, which was extended when Sage Karam’s car came to a halt on the track with a dead battery. The race briefly restarted, but was soon under a fifth yellow flag for the day after a couple laps for a piece of debris on track. Next year, buddy. Cap off that 50th birthday with another Indianapolis 500 run. UPDATE [2:10 p.m.]: Lazier has been taken to IU Health Methodist Hospital after complaining of chest pains. The article above has been updated to reflect this. UPDATE [7:45 p.m.]: Lazier was released from the hospital, per an update on his Twitter account.